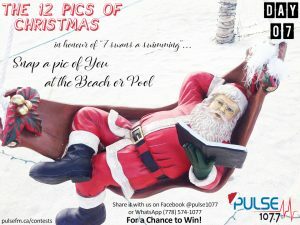 We’re giving Santa a breather before Christmas! 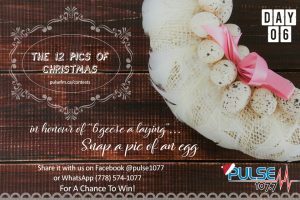 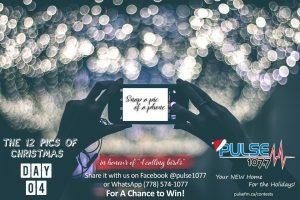 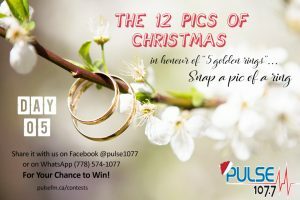 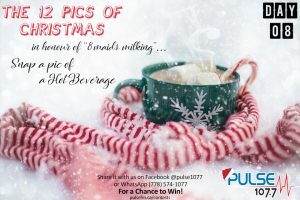 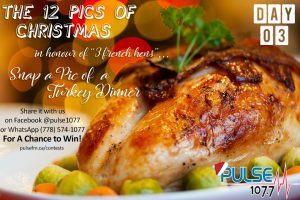 Pulse FM has teamed up with local businesses to bring you fabulous prizes for posting your 12 days of Pics on Facebook @pulse1077 using the hashtag#PulseFM12Pics! 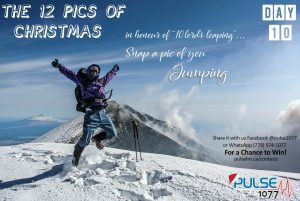 Each morning we’ll ask for a 12 days of Christmas photo – like on 10 Lords a Leaping we’ll ask for a photo of you jumping! 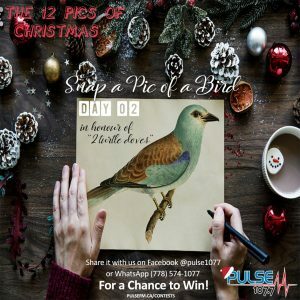 – and announce a winner for each day! 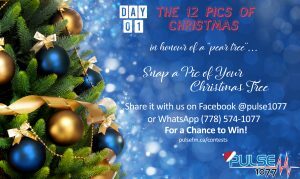 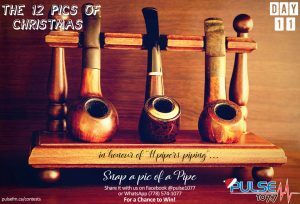 This contest runs daily from December 13th to the 24th. 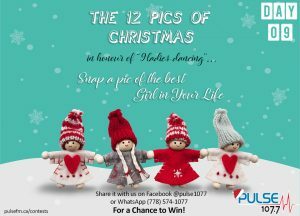 Click the pictures below for a shortcut to the Facebook post on the day listed and reply with your picture! 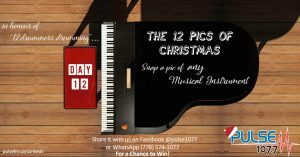 Or play by sending us the daily image as requested to to us on “Whats App” 778 574 1077.